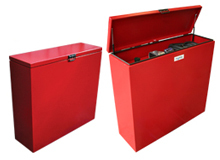 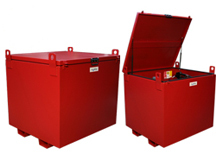 We manufacture steel bunded fuel dispensers that can be transported by road or forklift. Each dispenser is laser cut from high quality mild steel, assembled by hand then powder coated. 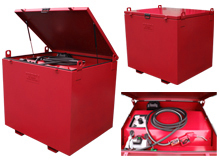 Under the lockable lid of each dispenser is either a 12V, 24V or 230V fuel pump. 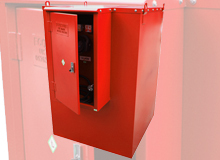 Each dispenser also features a manual nozzle, 2'' BSP fill point, contents gauge and inspection cap.